This original Zekken features digitally cut synthetic leather lettering, which is fixed to a genuine Sho-aizome bag, and the edges of the lettering is finished with hand-applied embroidery. This gives the Zekken a distinctive, yet subtle three-dimensional appearance. 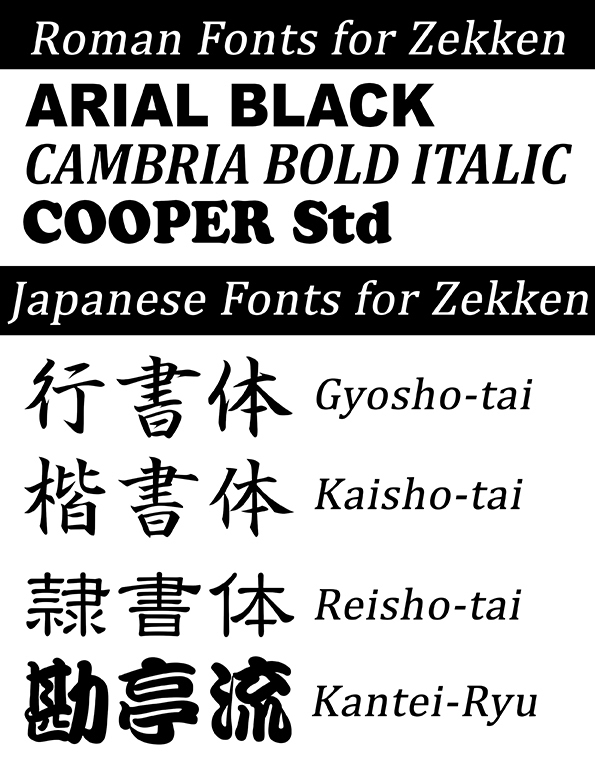 ADVICE : In general the name of your club/Dojo/region is written across the top of the Zekken, your surname, or first name is written in the middle of the Zekken, vertically in Japanese, your surname, or first name is written at the bottom of the Zekken, horizontally in Roman script. If you do not require a name across the bottom please simply write 'NONE' in the appropriate box. If you write your name in Roman script , and select a Japanese script from the font selection, our Japanese staff will translate your name appropriately. Alternatively, you can provide us with the characters you wish to use by email. I ordered my zekken a little over a month ago and it came within the time quoted despite it being the holidays. The lettering stands out beautifully and it's very well crafted. Another excellent job by All Japan Budogu!! As always you guys were helpful and responsive. The quality of the embroidery is outstanding and the Zekken looks great. Great Zekken. The stitching is a nice tight bound stitching with a quality leather-type material. I have ordered about three of them so far. The AJB team was very conscientious in ensuring the zekken was written correctly (my town name has a very counter-intuitive spelling) and worked with me when I had some specific requirements. Build quality is good - it won't fall apart and the letters are clearly legible.